Forde Recruitment is currently looking for CNC Operatives to work with of our Sheffield based client who specialise in the manufacturing and supply of internal doorsets. They have experienced sustained growth since opening over 10 years ago and are now looking to add to their developing workforce. Their site is ideally situated close to the M1 with plenty of free parking available. The ideal candidate will have experience working on CNC machines with wood; however candidates who have experience from other backgrounds will also be considered. Ability to read from technical drawings and working to smaller tolerances is essential. Candidates would preferably be able to programme, set and operate CNC machines, however full training will be provided. This role is on a temporary to permanent basis with a rate of pay of £8.42 - £8.72 per hour+ shift allowance on days, afters and nights. Upon completion of temporary assignment there is potential to progress to £9.32 as a permanent employee dependent on performance. Does this role sound ideal for you? Apply online today. 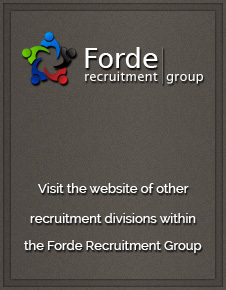 Forde Recruitment is part of the Forde Recruitment Group. This vacancy is being advertised on behalf of Forde Recruitment Ltd who in this instance are operating as an Employment Business. Unfortunately, due to the high volumes of applications we are currently receiving, we are only able to contact candidates who are successful in progressing to the next stage. If you have not been contacted within 7 days of your application, then please presume that you have not been successful on this occasion and continue to search on our website for future vacancies.